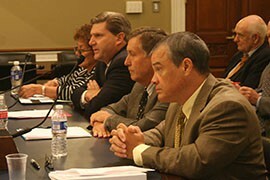 WASHINGTON – State, tribal and private-sector officials urged a House panel Friday to support an agreement that would settle a years-long dispute over water rights in the Bill Williams River watershed. 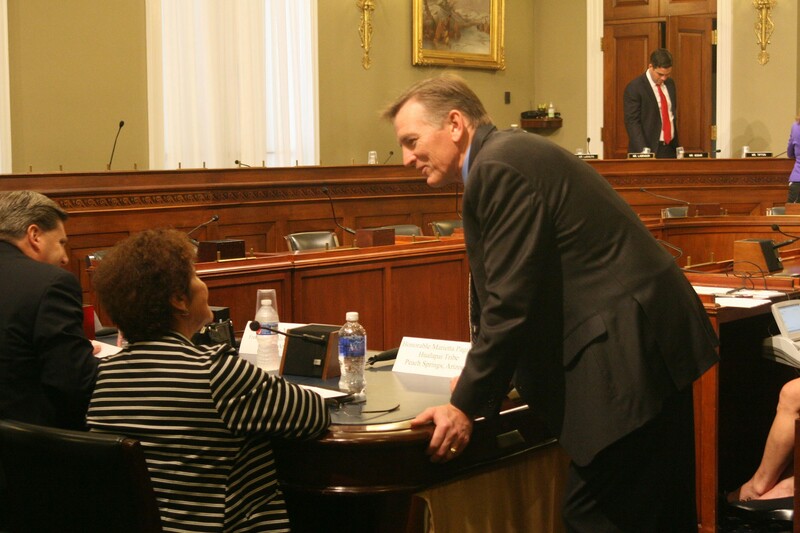 “I can’t tell you how rare it is to have the entire Arizona delegation agree on a meaningful bill,” Gosar said. He said the bill would “facilitate the achievement of a fair and equitable settlement” and proclaimed the legislation necessary for the economic success of the state. McAllister said there are potential economic benefits to be reaped by all of the parties involved. For the Hualapai, it provides water to meet the needs of increased tourism and for Freeport it provides water for the Bagdad mine, which was responsible for more than $300 million in economic activity in the state in 2013. The bill would also give the state rights to land on Planet Ranch, a large tract of farmland along the Bill Williams River that would be used for a multispecies conservation program. In 2011, Freeport bought Planet Ranch, which has to be put to beneficial use within five years under Arizona law, or the company risks losing water rights there, Gosar said. But Bureau of Indian Affairs Director Michael Black testified that while the Department of the Interior supports the goals of the bill, it also has “significant concerns” about sections that would waive sovereign immunity. Pagilawa said in order to come to an agreement, both sides have to give. Even though time is running out for this Congress, Pagilawa remains hopeful. She said Friday’s hearing was just another step in the ongoing battle to secure water rights for her tribe, and she would like to see Congress act on the bill by the end of the year. 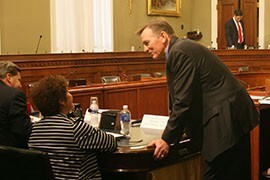 Rep. Paul Gosar, R-Prescott, talks to Hualapai counciil member Jean Pagilawa before a House committee hearing on a water-rights deal between the tribe, the state and a mining company. 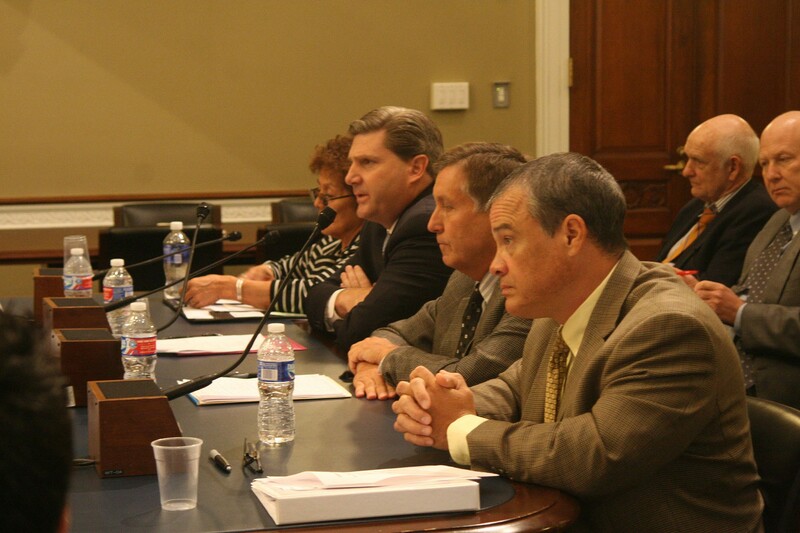 Witnesses testifying on the water-rights bill included, from left, Hualapai Council Member Jean Pagilawa, Francis McAllister of Freeport Minerals Corp., Thomas Buschatzke of the Arizona Department of Water Resources and the Bureau of Indian Affairs Michael Black. All but Black supported the bill.